This is a collaboration I filmed and edited with Joshua Bendah (directing) and Tsuyoshi Niwa, a soprano saxophonist and jazz improvisor. The project inaugurates a new film collaboration which we’ve called “Yellow Castle Films”. This piece features Tsuyoshi and Joshua in conversation on jazz improvisation, alchemy and the divine mystery of the flow state. I feel very lucky to have been a part of this collaboration with Joshua Bendah, Sacha Williamson and Steve Koven. “Thinking of You” was shot and edited over the summer of 2018. The music, composed by Sacha Williamson and Steve Koven, is a tribute to their late mothers. Filming this video is my tribute to mine. Here’s a second piece of Gothic calligraphy, this one based on Dr. John C. H. Wu’s translation of the Tao Teh Ching. I made this using gouche, gold leafing pen and ink (Noodler’s Bad Belted Kingfisher and Platinum’s Cassis Black) on Tomoe River paper. The ibis has been a symbol of writers since ancient Egyptian times, and here he bursts the frame to take the nourishment of water into the airs of the writerly mind. 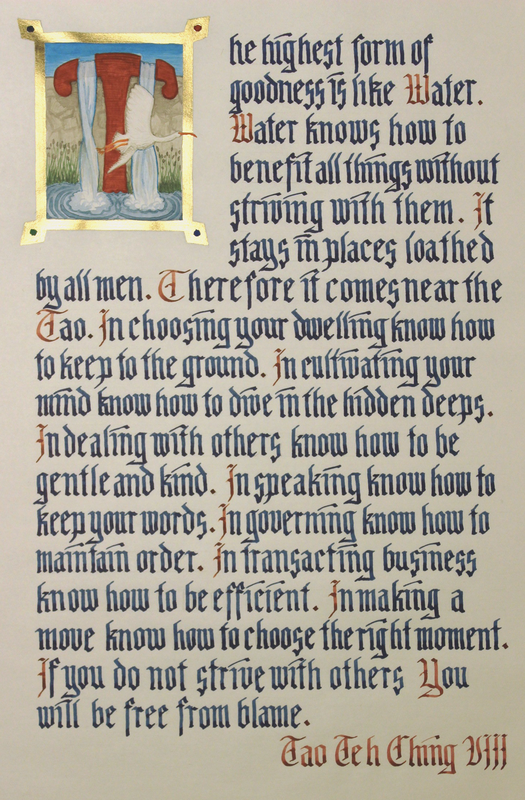 The other day I made a first attempt at a Gothic-style illuminated text with gouache, gold-leafing pen, Noodler’s Bad Belted Kingfisher (blue ink), and Platinum’s Cassis Black (red ink) on Tomoe River paper. I used a Lamy 1.5 italic nib for the text and a fine pointed brush for the gouache. Incredibly, only the gold leafing pen bled through the Tomoe paper despite multiple coats of fairly wet gouache. The text is my composition. I’m an award-winning Toronto-based filmmaker, writer, and visual artist with expertise in videography, video editing, and media training. I have ten years of video production experience in Toronto, Canada, and from 2007 to 2012 volunteered to produce videos and video trainings in Nairobi, Kenya. I currently work as a freelance videographer-editor. 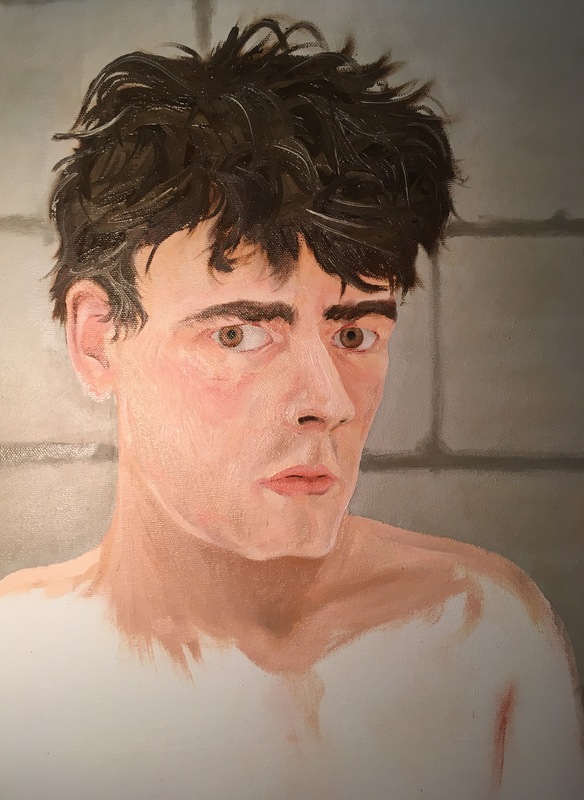 I’m also an obsessive dream-journalist, phenomenologist, visual artist and writer now working on a novel that has been about half finished for about five years. All site contents Copyright Owen Sheppard 2018 unless stated otherwise.